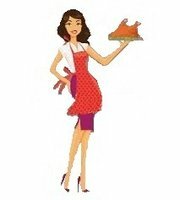 Our Waitresses visit your home or function venue, and attend to the needs of all your guests. We meet and greet new arrivals, serve drinks and complete simple food preparation. We are on hand to serve at the table, deal with the top-ups and spills and follow any specific instruction. Afterwards we take care of all the washing and tidying, leaving you free to relax and enjoy the day. We also supply long or short term waitress cover to restaurants. ...and then magic everything away afterwards!